Are you enjoying the slowly made website changes? 24 hour waiting period for manga hosting sites, download off forums or go to Batoto to read! Happy 4th of July ~ Sweet Girl Released! Our release today is a joint partner project (Sweet Indulgent), Sweet Girl chapter 1! While QCing this manga, you cannot believe how many times I laughed. xD We hope you enjoy. Also, prepare for a release of Ouji ka Prince and Adeyaka Prince. We'd appreciate you donate to us, since we are a non-profit group. I am currently finishing up a new website for us, and we need money for the domain. 24 hour waiting period, available for download if you're a dedicated reader, or you can read on Batoto! Check out our joint partner, Obsession Scans! Sorry for not releasing anything for awhile, we've been quite busy due to lack of staff and school! But now that summer has come, we have more time, and can bring more releases! We're alive, don't worry! Please join us, also, we need more QCer's, typesetters, and translators! 24 hour waiting period, become a Dedicated Reader and read now! 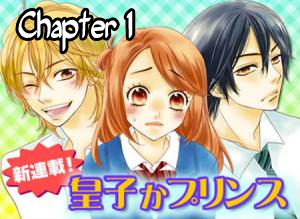 Adeyaka Prince Chapter 1 ~ Released! Enjoy this joint with Chibi Manga! Please become a Dedicated Reader to download. You Are My Everything Volume 3 Chapter 1 ~ RELEASED! Also, look forward to our soon-coming releases of some new projects! 24 hour waiting period, become a Dedicated Reader and download it NOW! We'd like to ask you for donations. Laika Chapter 5 ~ Released! Please enjoy the release of Laika! 24 hour waiting period, become a Dedicated Reader and download instantly, or this chapter will be loaded on WebtoonLive before the 24 hours are up. 18 Years Old, We Got Married chapter 5 & Laika chapter 4! Enjoy our New Years Release! 24 hour waiting period for manga sites, Laika released on WebtoonLive, become a dedicated reader and download 18 Years Old instantly! Ouji ka Prince Chapter 2 RELEASED! 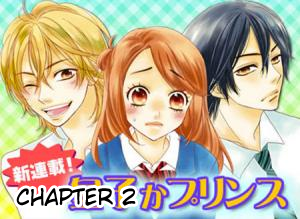 Sorry for the long hiatus, but we present to you.. dundundun... Ouji ka Prince, chapter 2! There IS a waiting period of 30 hours, read off Batoto or download of our sites. Make sure to check out our joint partner, Obsession Scans! Ouji ka Prince Chapter 1 RELEASED ~ Joint with Obsession Scans! Anyways, Ouji ka Prince chapter 1 has been RELEASED!! No waiting period since first release of series.